Please choose your ring size below the picture of the ring. Also, please enter your name exactly how you want it to appear on your ring. The first 6 letters are free! Each extra letter is just $3. Spaces are free. 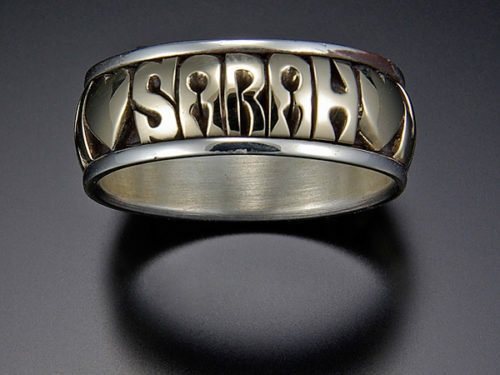 I am also able to carve hearts into the ring. If you would like a heart, please use an * to signify this. Have questions? Please check out our Questions Page. 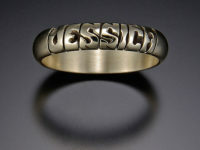 Be the first to review “Hand-Carved 7mm 10 kt Gold Center with Stainless Steel Channel” Click here to cancel reply.